04-08 VAUXHALL ASTRA OWNERS HANDBOOK MANUAL PACK AND WALLET Sep04 . floatingthoughts has no other items for sale. Details about 04-10 VAUXHALL ASTRA OWNERS HANDBOOK MANUAL PACK AND WALLET Inc TWIN TOP 08 . 04-10 VAUXHALL ASTRA OWNERS HANDBOOK MANUAL PACK AND WALLET Inc TWIN TOP 08 . 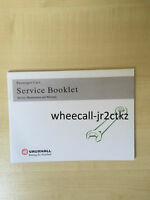 VAUXHALL SERVICE BOOK CORSA ASTRA VECTRA all models petrol and diesel..